With city infrastructure worldwide increasingly taxed by growth, urbanization, and climate change, forward-thinking leaders in the public and private sector have a potent opportunity to think and invest differently. 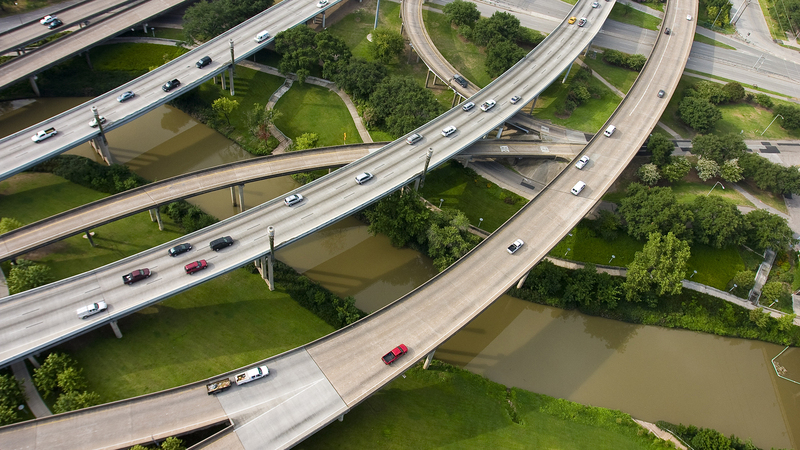 Highways, railways, bridges, and water management systems underpin urban life. 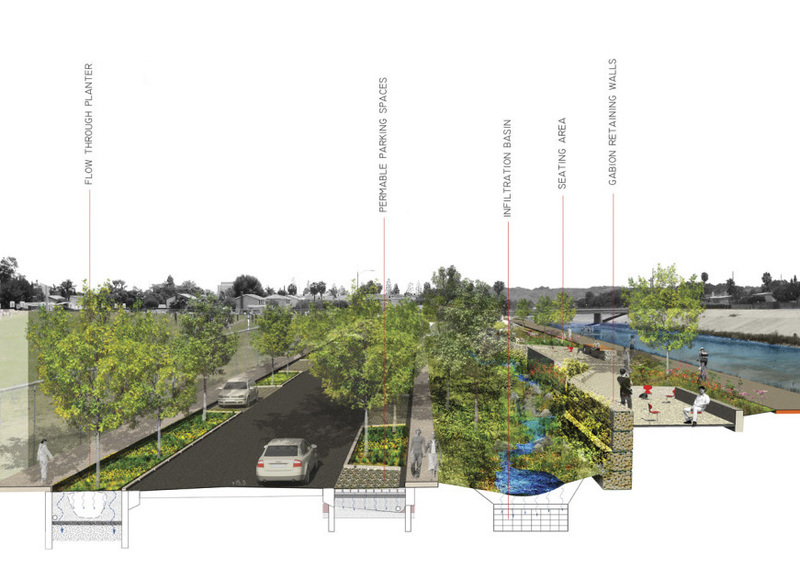 New strategies re-envision these structures with fresh purpose: contributing to environmental and social resilience. Waterways and levees can double as space for wildlife habitat and community recreation. Nondescript daily commutes can celebrate local character and provide visual interest. SWA’s CEO Gerdo Aquino offers his perspective on cities and landscape. 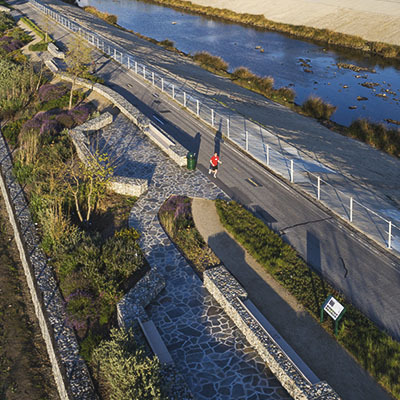 The first landscape built atop Los Angeles’s channelized riverways, Milton Street Park is now celebrated as a major bikeway in a city legendary for its automobile traffic. 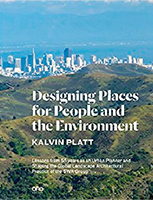 This landmark development also demonstrates how infrastructural barriers that have compromised surrounding neighborhoods can be redeveloped as an open space asset, directly addressing issues of social justice. 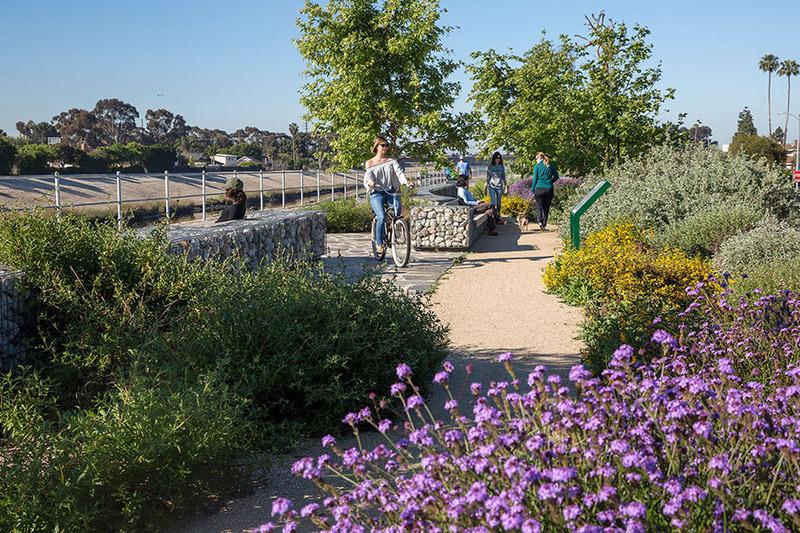 Milton Avenue Park introduces inhabitable green space atop the concrete channel, introducing a much-needed amenity to the local community and a safe and pleasant journey for cyclists passing through. 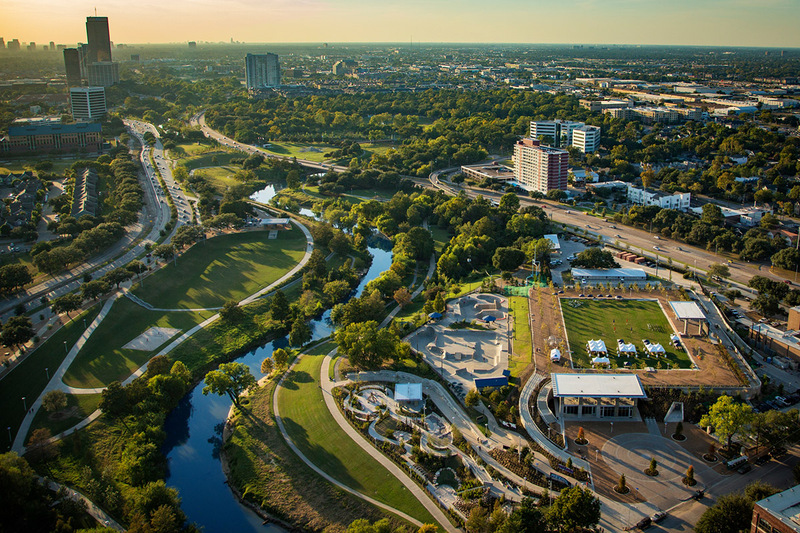 Buffalo Bayou Park is a park that also performs as flood management infrastructure. 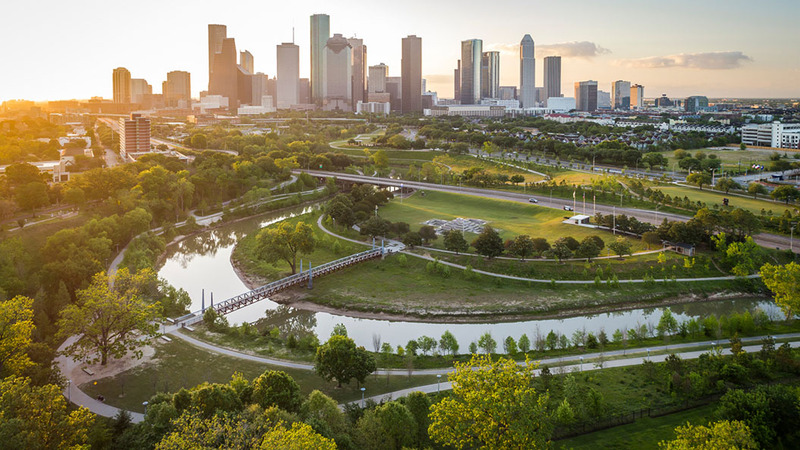 Designed to flood, the park withstood Hurricane Harvey, intercepting 337,411 gallons of stormwater and increasing stormwater velocity toleration by 400 percent. 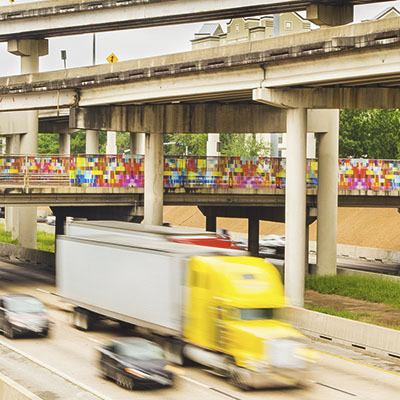 The Houston Bridges installation brightened nine key locations along downtown Houston’s I-59/69 interstate corridor, introducing bold mosaic banners derived from photos taken by school children. These large-scale structures, once considered eyesores, now celebrate a diverse city’s character. 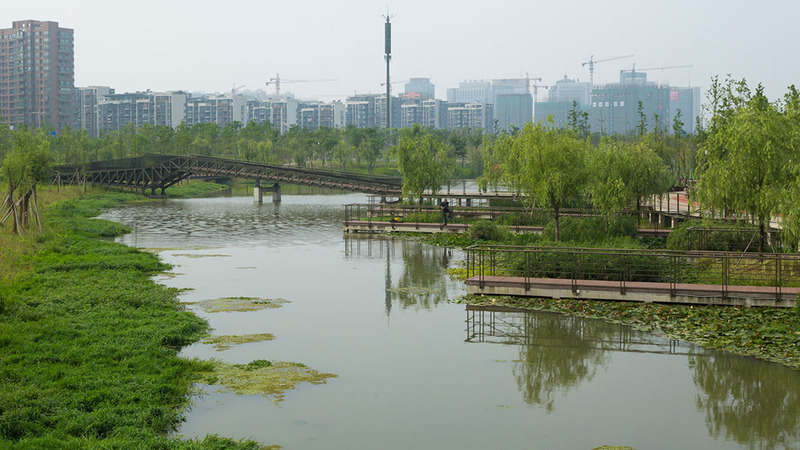 China’s Ningbo Eco-Corridor transforms historic and polluted industrial canals into a 3.3-kilometer-long wetland park at the center of a major mixed-use development. Intended to rekindle synergy between humans and wildlife, the corridor is carefully graded to create a terrain of hills and valleys, with the hills providing habitat for wildlife and vistas for visitors, and the valley waterways designed to remove pollutants through settlement, aeration, and bio-processing. 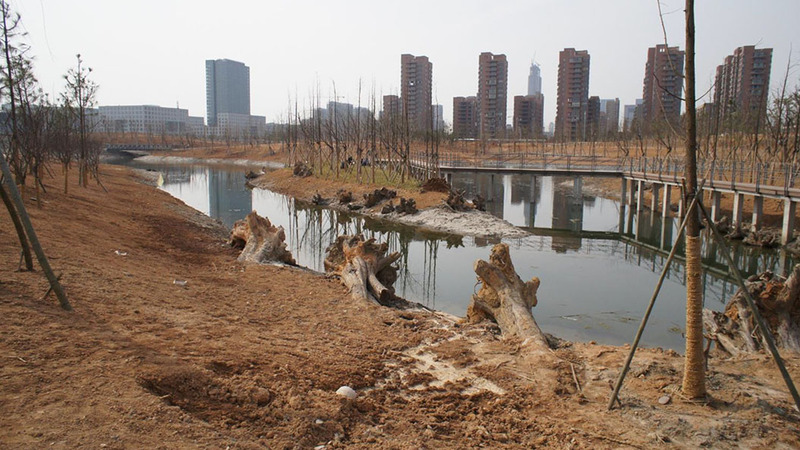 The design deploys nature to transform a toxic landscape into a living wetland park. Ten years later, a living network of vital green spaces demonstrates how humans, wildlife and plants can coexist. Eight key species’ habitat is restored, and the dense surrounding community has access to nature’s cooling breezes and indigenous ecology. 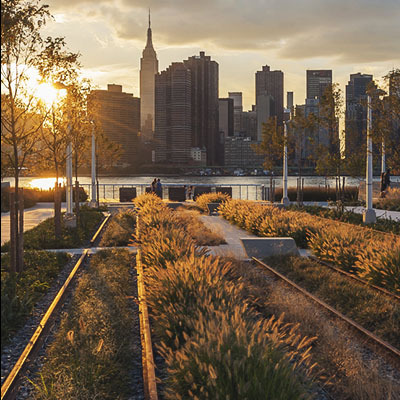 A collaboration between SWA / Balsley, Weiss/Manfredi, and Arup, Hunters Point South Waterfront Park (in Queens, New York) is a model for waterfront resiliency, where infrastructure, landscape, architecture and art are fused for public purpose. The park’s newly-opened second phase deepens its contribution to urban resilience, introducing the city’s newest “island,” tidal marshes and trails, award-winning art and a dramatic cantilevered overlook with dramatic views to Manhattan. Adjacent to an emerging affordable housing development, the park provides needed open space to communities that are often underserved. By the time the first phase of Hunters Point South Waterfront Park opened, it had already survived Hurricane Sandy. 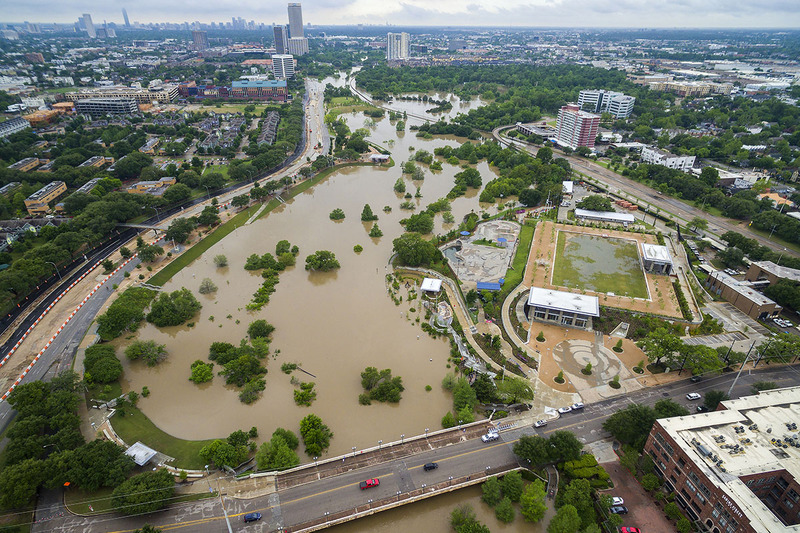 Its bowl-shaped central green detained floodwaters, and the parks’ new trees and promenade were unscathed. 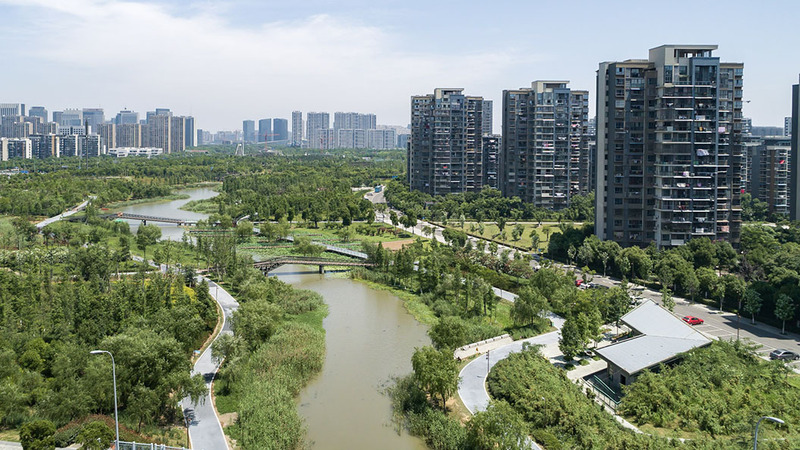 The concept of landscape infrastructure expands the performance parameters for traditional infrastructure to include designed, multi-functional systems. 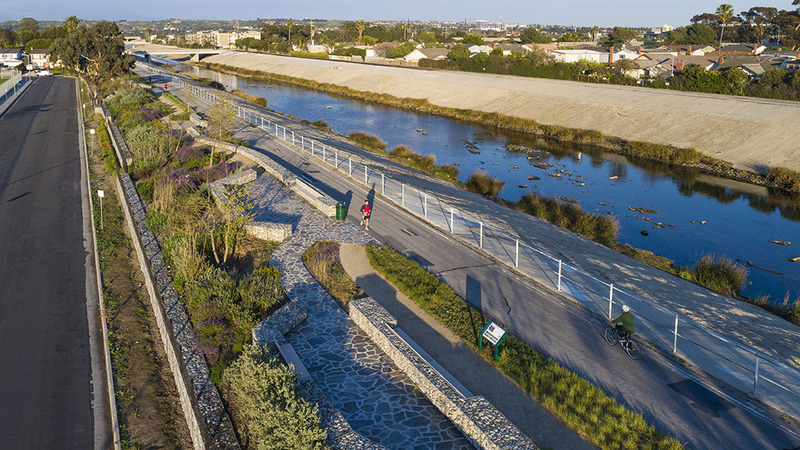 Flexible, adaptable, and high-performing, landscape infrastructure holds the potential to create community assets, accommodate new uses, and generate new resources. Together, infrastructure, landscape, and urban design can generate solutions that are greater than the sum of their parts. 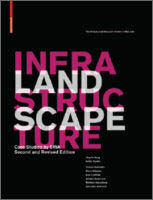 SWA “wrote the book” on Landscape Infrastructure. 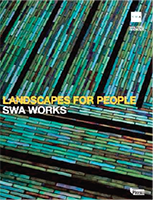 Enter your email address below to receive periodic mailings from SWA Group about landscape infrastructure and other ideas that influence the public realm.